Its been a busy time of late with the reprap. I have upgraded the Z axis drive M8 thread from Zinc Plated steel to Stainless Steel, this runs so much smother. This has also enabled me to increase the Z axis speed to 3mm/s witch is a 50% improvement over 2mm/s. Now the limiting factor is the Stepper motors. The threads are directly driven by the stepper motors, it takes 320 steps per 1mm, so thats 960 steps per second! When I upgraded the above threaded rods I made them longer with another idea in mind, I havent done that part yet and may not need to now. The longer rods clearly showed there was an issue with my Right side Z axis, so I replaced that also. I have not had any Z-axis issue since. After this change I had to update my machine settings to match. After doing this the positioning is noticeably more accurate. My circles are a lot more circular. It must be noted though that there is no way to attach these pulley to the spindle. I glued it on. 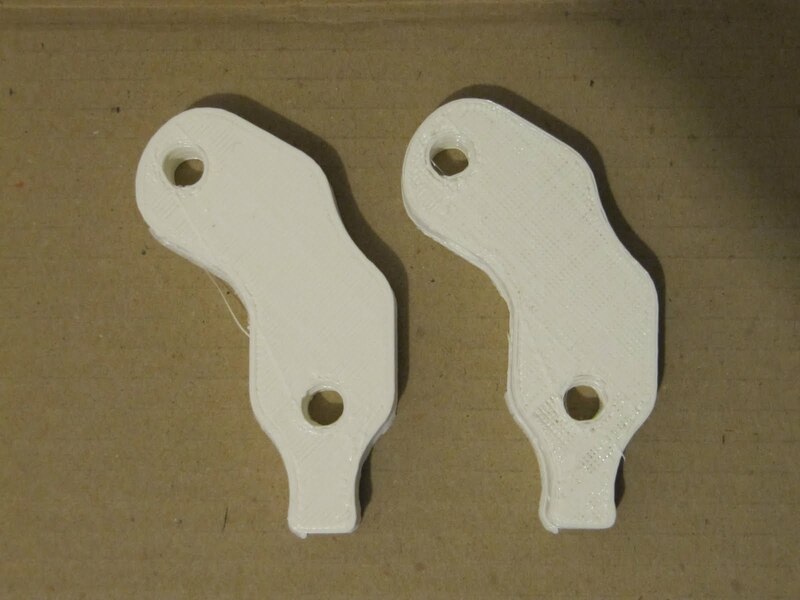 If I had more patience I probably could have milled a nut slot and drilled a hole like the printed pulleys have. Ive also gotten my first spool of filament. The idea being so I don't have to look after it so much, ie it could feed itself. But unfortunately the spool is to heavy to auto feed. So instead I run it beside the Prusa and just keep a loose coil between the two. I doubled this to 60mm/s and the adjusted the extrusion rate also. I fully expected this to totally fail, It didnt!! There is a notable difference in the way the plastic looks, but it works fine. I have also found a nice trick, you can set the perimeter speed to a percentage of the main speed, this means the perimeters are printed perfect at 30mm/s with high speed in fill. Unfortunately there doesn't seem to be any way to do this on the bottom or upper surface. But its a good start, ill keep tweaking setting, to see if I can improve things.